What's that you say? It's almost June? I hadn't noticed. It's not like I was counting down until the last day of school. No, not me. But now that you mention it, I am really looking forward to June. Graduation is always an exciting time and, although I do not teach any grade 8's this year, I still help during the graduation ceremony by handing out the French awards and looking after the music. Last year, I even worked with two graduates who performed a rendition of "Say Something" while I played the piano. It's always nice to send off the graduating class as they embark on their new journey. And they're lucky to have amazing grade 8 teachers who work extremely hard to put together a graduation celebration and luncheon, not to mention an amazing yearbook year after year. It's such an important occasion and what better way to commemorate than with a memento from Hallmark. 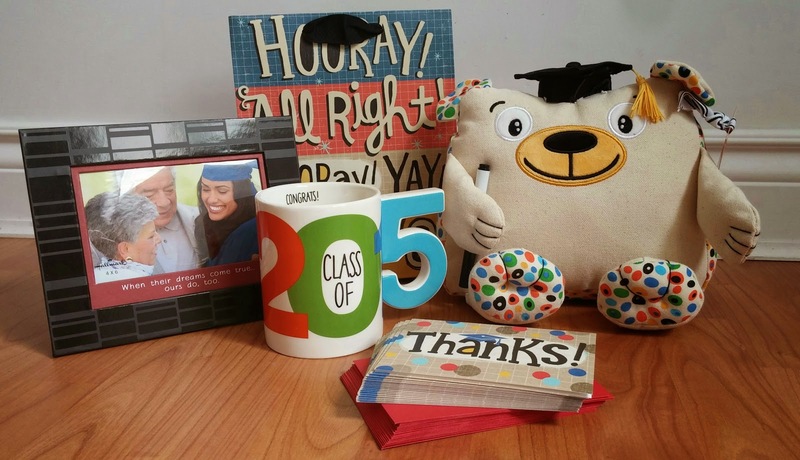 At the top of my list of Hallmark must-haves is the Autograph Graduation Bear. This adorable fabric bear includes a black marker and plenty of room for autographs. It retails for $16.95 but you can save $4 with any purchase. They also have a couple of dated mugs with designed handles: Class of 2015, as seen above, and YOU DID IT! Tassle Mug. These ceramic mugs are dishwasher safe and retail for $12.95 each. Of course, they have plenty of frames as well, including graduation frames. The one above can hold a 4" x 6" photo and includes the sentiment, "When their dreams come true, ours do, too." This frame costs $12.95 but other sizes are also available. Don't forget to pick up some graduation themed gift bags or a set of thank you cards for your future grad. Now I know, June is not just about grads. Dads celebrate a special day, too. Luckily, Hallmark has you covered with a fabulous assortment of Life is good products. 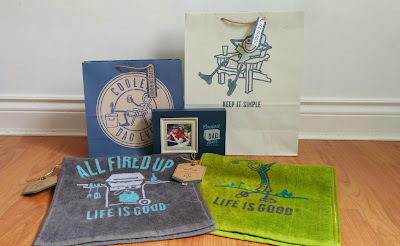 From wooden Father's Day Frames ($16.95 each) and matching gift bags to ceramic mugs with uniquely designed handles ($14.95 each), there are plenty of gift ideas at Hallmark. My favourites are the golf and BBQ towels. They are 100% cotton and retail for $16.95. The best part? Life is good donates 10% of its net profits to help kids in need. So it's like your gifting twice! 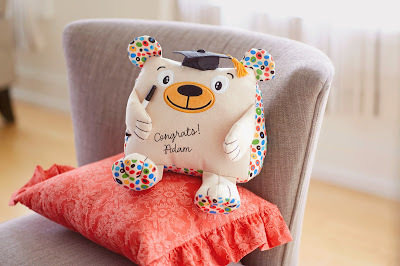 Win a Hallmark Autograph Graduation Bear! Know someone who is graduating this year? Hallmark is offering up one adorable autograph bear to one of my readers. Simply complete the Rafflecopter form below. Open to Canadian residents only, excluding Quebec. Definitely the graduation bear! I love how you can write a message on him! The Graduation Bear is adorable! Perfect for my little guys graduating preschool this year! The Graduation Bear would be great for our Gr. 8 grad! The "All Fired Up" towel is cute too! I really like the graduation bear. It's a lovely cuddle and memento all in one. Cute bear! I also like the Class of 2015 mug. I really like the graduation Bear! Just so adorable! I really like the graduation cup. I like the wooden father's day frames. The grad bear is pretty cute! Wow, that bear is so unique! Love the Autograph Graduation Bear!!! I'm in love with the bear for a loved one! Besides that, I love the golf and BBQ towels. I love the class of 2015 mug, so cute! 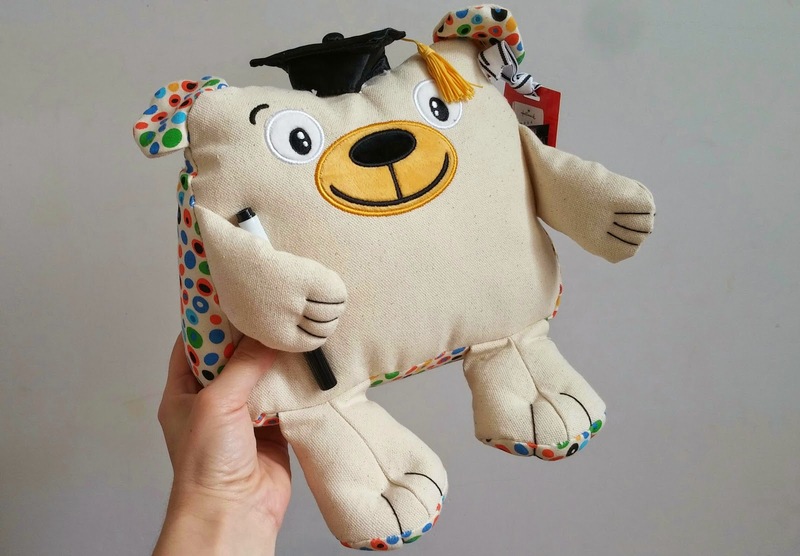 I like the graduation bear! I like the father's day picture frames.